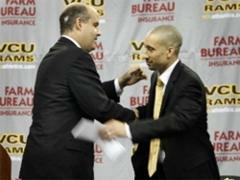 Gophers AD hugging Shaka Smart, when both were at VCU. With the news that Tubby Smith is out as head coach at the University of Minnesota, all eyes will turn to Gophers AD Norwod Teague. 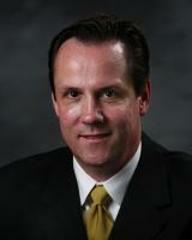 Teague and Senior Associate Athletic Director Mike Ellis will define their tenure with the hire they make. Both come to Minnesota with a heavy pedigree in basketball. Teague is a North Carolina grad and was the AD at VCU when he first hired Anthony Grant and followed that up with the well-documented hire of Shaka Smart. Ellis was a student manager under Dean Smith at UNC and was a long time basketball assistant at VCU before joining the administration under Teague at VCU. The stakes are much higher at Minnesota than VCU, but the opportunity is greater as well. You don't fire an NCAA Championship winning head coach like Tubby Smith and not swing for the fences with his replacement. These guys will go big. This is their chance to make their mark on the U's athletic department and will set the tone for their tenure at the U. We expect that they have already done a great deal of due dilligence in anticipation of this move. We don't expect this coaching search to drag on and wouldn't be surprised if a new hire is named within a week or two, max. Here is a list of 10 coaches we expect Teague and Ellis could have on their short list. 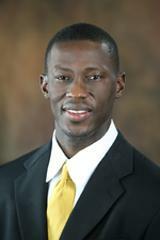 UPDATED 3/27: VCU announces it has restructured Shaka's contract and he will remain in Richmond. Norwood Teague hired Shaka Smart at VCU and the two (along with Mike Ellis) reportedly have a very good relationship. Shaka would bring an incredible amount of energy to the program and will be a big boost to ticket sales, fundraising and has the potential to excite local recruits that may be looking elsewhere. Assuming he implements the Havoc mentality of play, its a style that recruits and fans will enjoy. Shaka could practically have his pick of jobs if he were to choose to leave VCU. He reportedly had an offer from Illinois last year, which is arguably a better job than Minnesota. The main reason Gopher fans feel they have a shot at Shaka is due to his relationship with Teague, but is that enough to make a move? Will the Havoc style of play translate to a methodical Big Ten style of play where most teams have very good ball handlers? Flip has long been a big favorite of Minnesota media, boosters and fans. He has a big name locally and will be a big boost to fundraising, ticket sales and could help land the big in-state recruits. The Gophers lack of practice facility and aging Barn could turn some candidates off, but not Flip. He loves The Barn and will likely be a big boost to practice facility fundraising. While he's been out of coaching this year, he's been all over the local high school basketball scene as well as all over ESPN as an analyst - not a bad combo! Flip hasn't recruited high school kids since the 1980s and recruiting is the life blood of a program. He will have to surround himself with well connected recruiters outside of Minnesota. Flip is 58 and college basketball is a young man's coaching game. Will he have the energy to chase 16 year olds around gyms all summer long? Norwood has a history of identifying up and coming assistants and Flip doesn't meet that model. Not to mention, there is a decent chance that 16 months ago, Teague didn't even know where Flip went to college and he may not understand the local affinity towards Saunders. Buzz has done a great job at Marquette and no doubt brings instant credibility to the Gophers program. Buzz is an alum of the Villa 7 program that Mike Ellis has been instrumental in leading. Buzz was recently a guest on Norwood Teague's radio show on 1500 ESPN. While that doesn't mean much, it does show that Teague and Buzz have a good relationship, and if he was willing to jump on a radio show during the season, he'll likely at least take Teague's call should he place one. Buzz is in a great program and has no need to leave Marqutte. He's well compensated and well respected at Marquette so it would probably surprise a lot of people if he made a move to Minnesota. Many coaches like being the only major sport at a school, and Buzz has that at Marquette. He's the big guy in the athletic department and that is appealing to a lot of coaches. 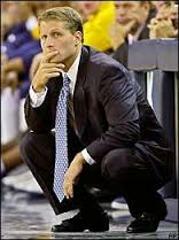 Teague worked with Grant as head coach at VCU, after Grant had been an assistant at Florida. Teague has been quick to point out the career progression of Grant in interviews. Grant is a Villa 7 alum. Grant has done a solid, albeit not spectacular, job as head coach at Alabama. Almost all of Grant's career has been in the South and coming to the Big Ten and recruiting Minnesota would be new to him. Grant has done a solid job at Alabama, but probably wouldn't immediately fire up the fan base. UPDATED 3/26: Pastner reportedly signs new deal with Memphis Tigers and is off the Gophers radar. 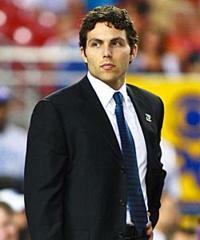 Pastner is young, energetic and has a reputation as a tireless recruiter. Pastner is a Villa 7 alum who Ellis has touted as one of the big succcess stories of the program. Memphis' conference situation is a mess. While the program has good history, a good recruiting base and a solid national brand, the conference situation could get really ugly for the Tigers and this could motivate Pastner to jump. Memphis fans have grown frustrated with Pastner for many of the reasons that Gopher fans grew frustrated with Tubby - lack of offense, lack of player development and some off the court issues. Pastner likely wouldn't be the big man in the athletic department at the U like he is at Memphis and that could be a turn off for him. Living in the same town as Teague and Ellis did while they were at VCU, no doubt that the Gophers admin have a relationship with Mooney and know his reputation and ability. Mooney took Richmond to the Sweet 16 in 2010-2011 including a 29-8 record. After the Sweet 16 run a few years back, Mooney has failed to get Richmond back to the NCAA Tournament and is 15-17 in conference play during those two years. Teague would have to do a hard sell on the media and fans if they bring Mooney to the press conference. It will be met with skepticism and fair or not, it will feel like a Monson hire. Marshall is working his way up the coaching ladder - he led Winthrop to seven NCAA bids and compiled a 104-24 record there and is now doing a similar job at Wichita State where his team won the NIT two years ago, NCAA tourney last year and advanced to the Sweet 16 of the NCAA tournament this year. Marshall will get a major conference job soon, and if his career is any indication, he'll be successful. Why not at Minnesota? There are no natural ties to Marshall/Ellis/Teague. While not a dead end, both Teague and Ellis are well connected and will likley hire someone they already know. Marshall will have options at high major programs - will the lack of facilities be a turn off for a coach who can be picky if he chooses? 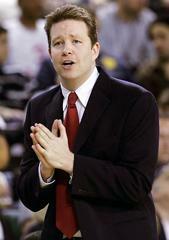 Musselman has received rave reviews in his assistant role at Arizona State, both in recruiting and game planning. His varied experience as a former NBA head coach and assistant provides him the ability to tell kids he knows what it takes to get to the NBA. 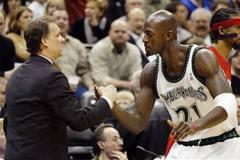 Musselman will likely spur some fond memories of his Dad's tenure at the U, and Eric does have some familiarity with the area as he was born here and was an assistant with the Timberwolves. He's young and, like his Dad, he has boundless energy. Musselman has bounced around - a lot! Part of that is a product of the coaching world, and part may raise red flags for an AD. Musselman appears to be grooming himself for a return to the NBA, so there could be questions on his desire to control the reigns of a college program. Stephens is long overdue for a head coaching position and he is more than ready. He's been on Izzo's staff for 10 years and is now the Associate Head Coach. Prior to joining Michigan State, he was on Tom Crean's staff at Marquette, including when they went to the Final Four. Stephens is Izzo's top recruiting assistant and has great relationships with Tyus Jones and Reid Travis. 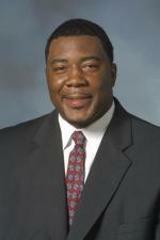 He is regarded as a great big man coach and Draymond Green credited Stephens for his career development in East Lansing. Stephens has been a long time assistant on some big time coaching staffs. One has to wonder why he hasn't taken the next step to be head coach. It's hard to go from lifetime assistant to head coach in the Big Ten. It's certainly been done before (some times well, some times not) but it is a big jump. 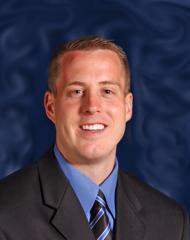 Fife joined the Michigan State staff two years ago after six years as head coach at IFPW. Izzo has raved about Fife's contribution on his staff and he has a reputation as a very good recruiter and works with Michigan State's guards. Fife has the Big Ten pedigree, having been a standout player at Indiana. Fife made a strategic career decision to go from head coach back to an assistant, albeit on a very well regarded staff. One has to wonder if jumping to a head coaching role at a Big Ten school is too big of a jump. Fife is a risk for an AD replacing Tubby Smith. No doubt that Fife will climb the coaching ladder, but will an AD want to let him cut his teeth on his watch?